An odd picture, I know, but the insides of these flowers are so pretty. 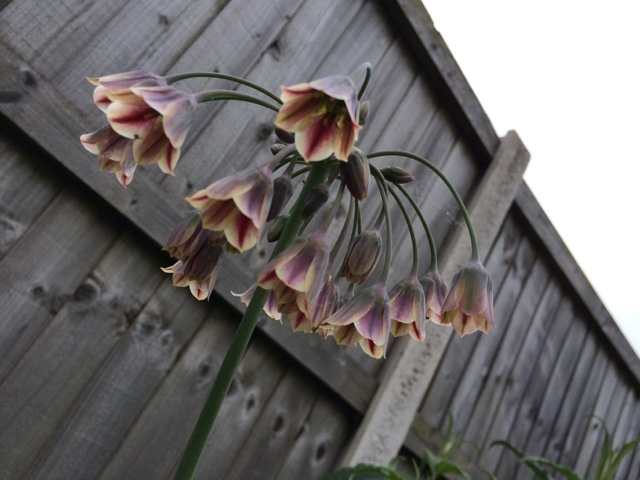 It's a type of allium called Nectaroscordum. I love them because they're all pretty and droopy like this, then the flowers dry out and point upwards like mad little fairy castles.